Praising your children is valuable to help them learn which behaviors are desirable, but overly praising them is possibly doing them more harm than good when it comes to their healthy psychological development. Dr. Bleiberg says narcissistic children are often lonely, angry, empty, and envious. If you have accidentally been doing the one parenting behavior that produces narcissistic children, there is hope. One of the easiest ways to help your child is to change your parenting behavior going forward. Although it can feel like the right thing to do to praise your child because you feel like you are helping their self-worth, you may have inadvertently given them an over-inflated ego. 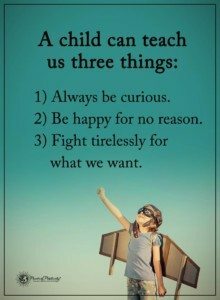 Instead, create situations that allow your children to learn that they are not the best, the smartest, the prettiest, or the most capable. Let them fail at sport, an exam that doesn’t affect their grade too much, or praise another child who shows traits of selflessness instead of praising your own child. Encourage your children to make friends so that you aren’t being overprotective of the criticism that they will get from their friends when they act selfishly. Even better, teach them empathy and kindness. Developing a personal identity, learning to set and honor boundaries, and learning to balance both independence and asking for help are all a part of growing up. These skills are lacking in the narcissistic child, but they can be taught. When you change your behavior but don’t see results from your child, it may be time for professional help. Seek counseling for your narcissistic child’s behavior before it becomes a pattern of behavior in adulthood that cannot be changed as easily.